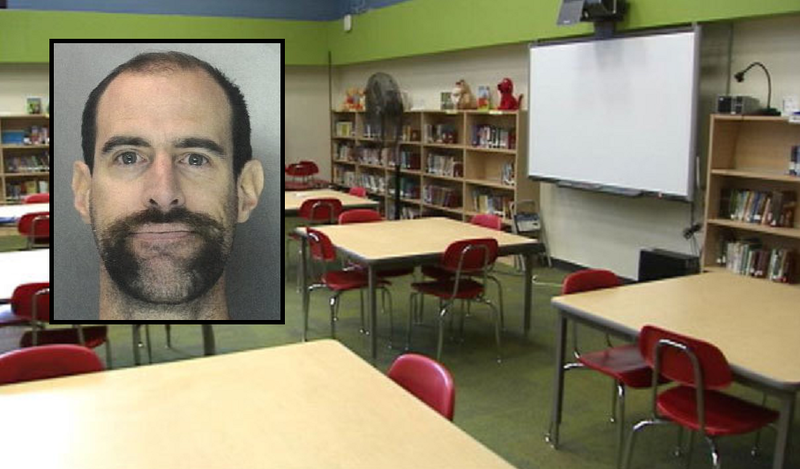 A third-grade teacher is accused of horrifically sexually assaulting an elementary school girl from Hummelstown, Pennsylvania. The police said the horrible teacher even attempted to hypnotize others to make them follow his orders. The teacher has been identified as James Mentzer, 39 from Hummelstown. He was charged Thursday with institutional sexual assault, indecent assault, unlawful contact with a minor and five counts of corruption of minors. Authorities said Mentzer has been under investigation since February. While under probe, Mentzer was put on leave from East Hanover Elementary School. The police shared how the teacher requested his victims- girls ranging in age from 8 to 11- to come to his classroom to record videos for a supposed project. Once inside the classroom, police said Mentzer videotaped the little girls reading and then he attempted to “hypnotize” them. One girl shared the graphic details of how she was abused by the teacher. She told authorities that while she was asked to read, Mentzer started rubbing her leg, then also rubbed other areas of her body, mostly over her clothes but also on her arm under the short sleeve. The girl said she tried to ask Mentzer to stop by pushing his hand away and tried to move away from him. However, the pervert teacher continued to rub her while trying to distract her by telling her to look at objects in the room, such as a snowflake or a rock. The girls were also given a puppet to use while reading with Mentzer. The teacher also used a puppet at times. Mentzer is being held at Dauphin County Prison on $75,000 bail. It is not clear if Mentzer has a lawyer already. sick and I am wondering how he got past the screening process.